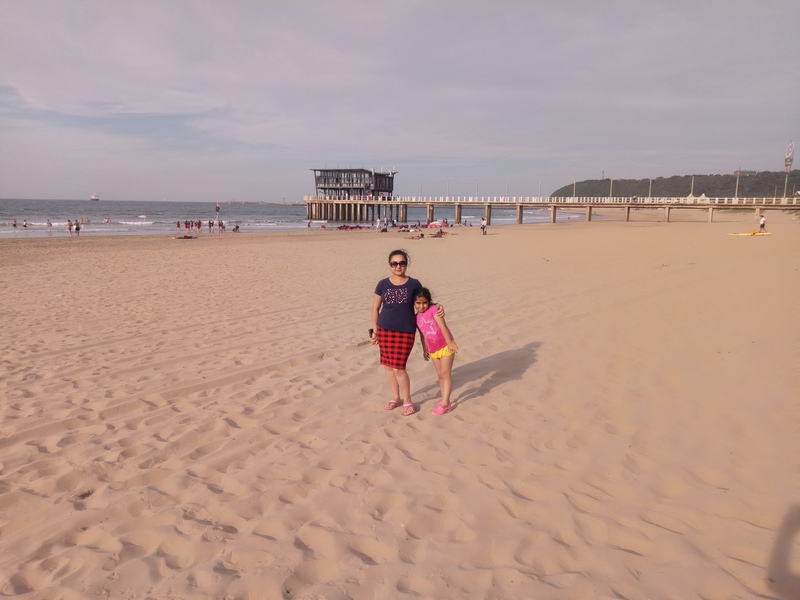 As surprising as it may sound Durban was not really a part of the original itinerary, but it was added after my husband asked “why not? “. That statement, started my love affair with the iconic city that stands proud as a testimony to the diversity of South Africa, a melting pot so to say of numerous cultures and ethnicities. History, geography and economics come together to form a wonderful amalgamation or rather a symphony of a pleasant melody called Durban. So, here I can say with true conviction that no South African holiday is complete without Durban. It is part of the Kwazulu -natal province of South Africa. Historically all the foreign workers were brought here and since then this region boasts of great cultural mash-up and of course like I said before a great diversity. All this directly gives rise to the most prominent factor, the lip smacking cuisine of the region. In addition to all this, being an economic hub of the country, Durban is also quite notable for a wonderful city life, with shopping malls, casinos, amusement parks, water parks aquariums, entertainment centres etc etc. This province also is home to two UNESCO world heritage sites, namely Isimangaliso wetland park and ukhahlamba Drakensberg Park. OK so enough with the information, let me start my story, so here goes..
We had just about three days in Durban, and they were spent totally and deliciously in adventure, food and idling at the beach, in fact it was the perfect destination, right in between the rustic Oudtshoorn and the adrenaline packed Kruger national park where we were headed next. We tried extreme sports, shark cage diving, although I must admit that my enormous heart chickened out at the last moment.. But my husband went right ahead, and I must add.. courageously. Here I must caution that it’s not for the weak hearted. So moving on, we went shopping, saw the dolphins in action, tried unlimited African buffet and basically had an amazing time. well, the first has to be the dolphin show, it was a first for me and I must say I enjoyed every bit of it. Secondly the food, we were totally spoilt for choices! 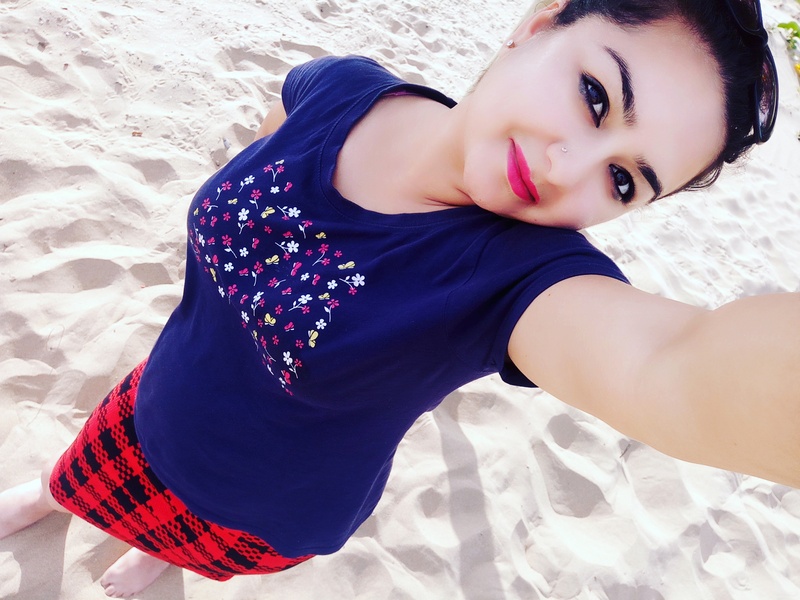 And lastly, the awesome casinos, even though I am not much of a gambler but who does not like trying their luck once in a while, and then the thrill of it all, is really contagious. With 3 awesome days in Durban we were all ready for our next and most awaited destination, Kruger National Park and that’s my next story. Getting into Durban is quite easy, you can reach either by flight, by road, by train or even by boat. But flights are the best option, boats are good too if you have the time and most importantly the adventure streak. 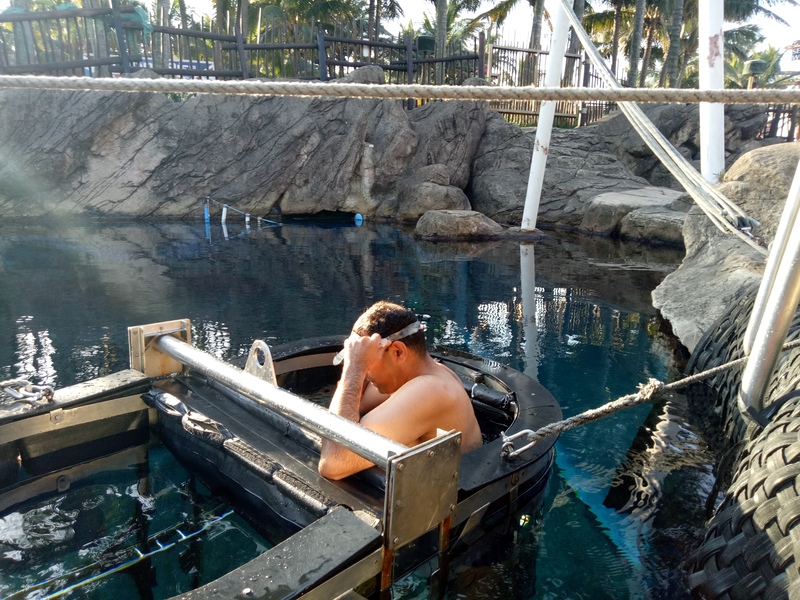 The first and right at the top in my list is the Ushaka Marine World, it’s an aquarium, water park adventure sports hub, entertainment center, and even has a great beach! A must do for every one, in fact we went there twice.. Tip : plan a whole day trip, minimum. Better than any other in South Africa, and the cherry on the cake is the amazing chreche facility for children, with a wonderful staff and an stunning list of activities for children. 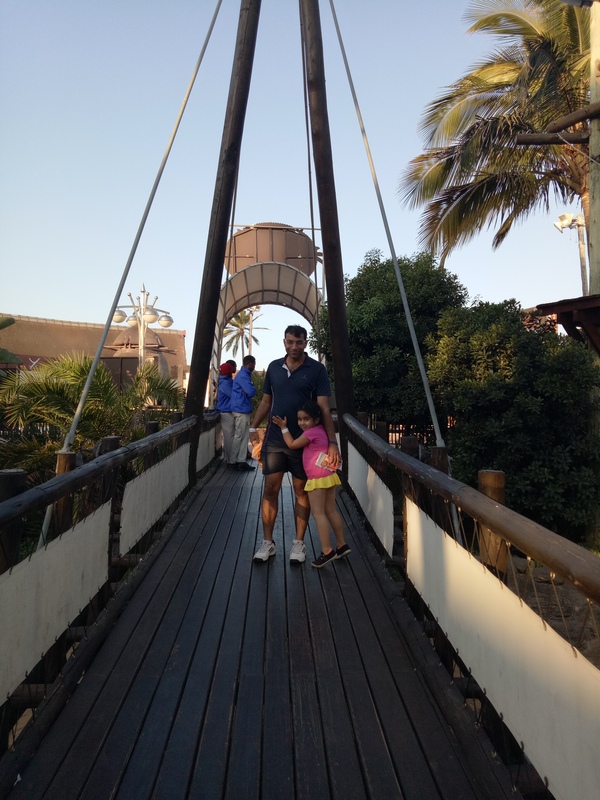 So even though these two were my favourite, there is much more to see in Durban.. there is the Botanical gardens, Umgeni River Bird Park and North Beach. The list really is endless and so are the possibilities, when you are in Durban. That’s all for now, I will be back with my next story and soon. Wow, sounds like an incredible experience! I have to agree, I would definitely be too chicken to go shark cage diving…. Waaah! Shark caging!! I’m scared of creatures under the ocean (slight case of thalassophobia, I guess) but then it’d be something I would regret not doing. But I think I’d still chicken out hahaha. It sounds like you had a great trip. I’ve just read a book about someones travels through Durban, sounds like an interesting place to visit. Thanks for sharing this. I’ve never been to South Africa. I had planned a trip there, but then it was cancelled…Durban sounds like an interesting place to visit and I’d love to know more about the food that you tried there. What a great trip! I don’t think I would be diving with sharks though! That takes some bravery for sure. Sounds amazing! Makes me realize I need to travel more. I don’t blame you AT ALL about bailing on the shark dive.. holy cow, talk about intense. Sounds so fun and tons of yummy food options is always a plus! I cannot believe your hubby went shark cage diving! My hubby is the adventurous one in our family, I’m always the chicken! I would jump into that shark cave diving any minute! I love snorkeling and scuba diving and have encounter many reef sharks (very unharmfull). And tasting the food, must be so exciting cuisine with so much mix culture! What an awesome experience! Thanks for sharing- Africa is on my list!